Android 6.0 Marshmallow is bringing in lots of changes to our favorite smartphone operating system, ranging from battery-saving tweaks like Doze to a Now on Tap feature that essentially bakes Google right into every app on your phone. But for folks that like to tweak the interface of their device, a new hidden menu might be the most exciting addition of them all. 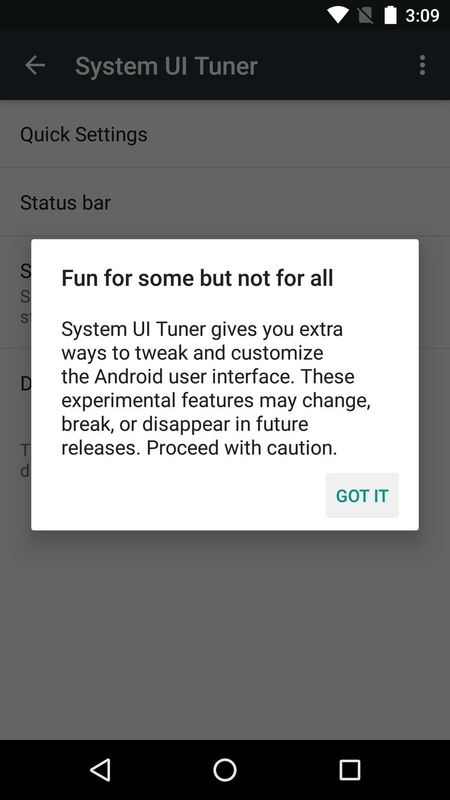 Marshmallow has a built in interface-tweaking menu called "System UI Tuner," but it's been hidden from view to prevent casual smartphone users from altering things they don't fully understand. 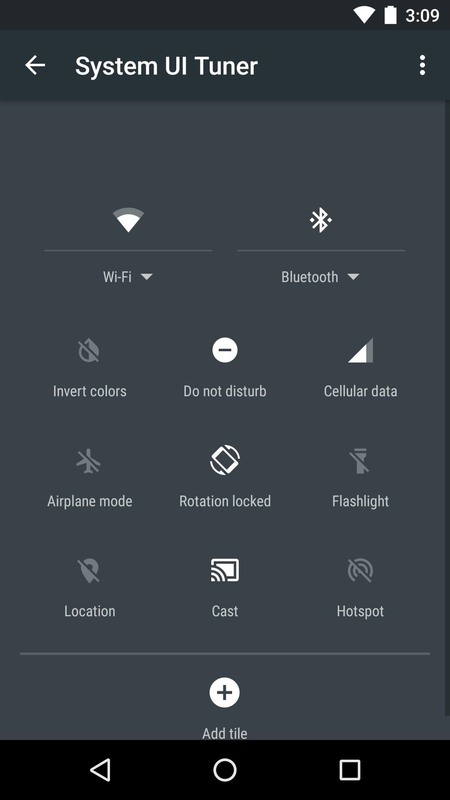 In a few simple steps, though, you can unlock this menu and tweak Android 6.0's interface almost as if you had a custom ROM installed. 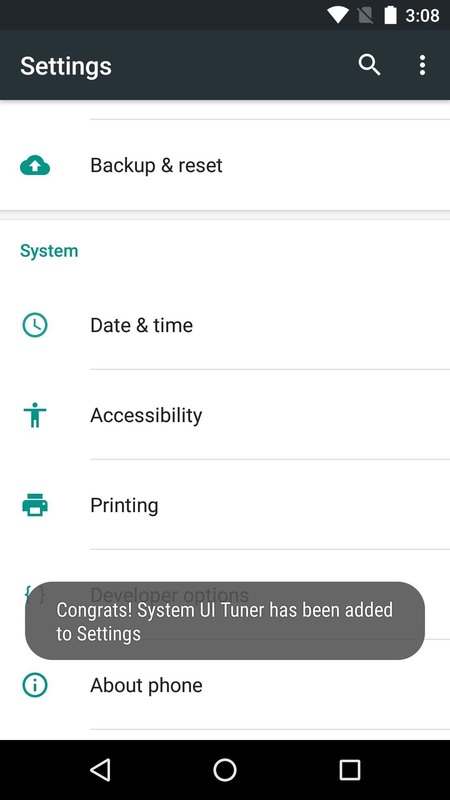 Before you can unlock the System UI Tuner, you'll have to enable the Developer options menu first. So head to Settings, then About Phone, and scroll all the way to the bottom of this menu. From here, tap the Build Number entry 7 times in rapid succession, and when you back out to the main Settings menu again, you'll find the new Developer options entry listed towards the bottom. Now that you've got that out of the way, you're ready to enable the System UI Tuner menu. 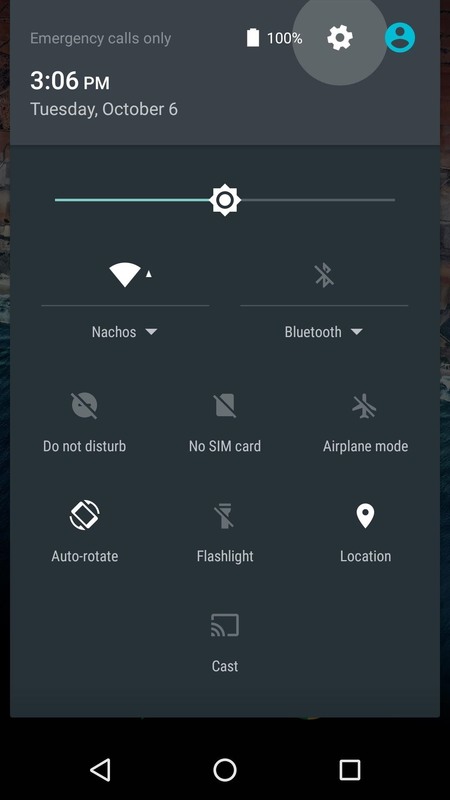 Swipe down twice from the top of your screen to fully expand the Quick Settings panel, then press and hold the gear icon in the top-right corner. You'll see the icon start to spin underneath your fingertip, but keep holding it down for about 10 seconds. When you let go, you'll see a toast message informing you that the System UI Tuner has been unlocked. From now on, simply scroll down to the bottom of the main Settings menu to find and access the System UI Tuner menu. When you first open the System UI Tuner interface, you'll see a message that tells you these options are experimental. Tap "Got It" on this message, then you'll be ready to tweak some interface elements. From the "Quick Settings" submenu, you can add, remove, or rearrange the various tiles in your Quick Settings panel. The "Status bar" entry allows you to disable any icon that shows up in the status bar at the top of your screen. 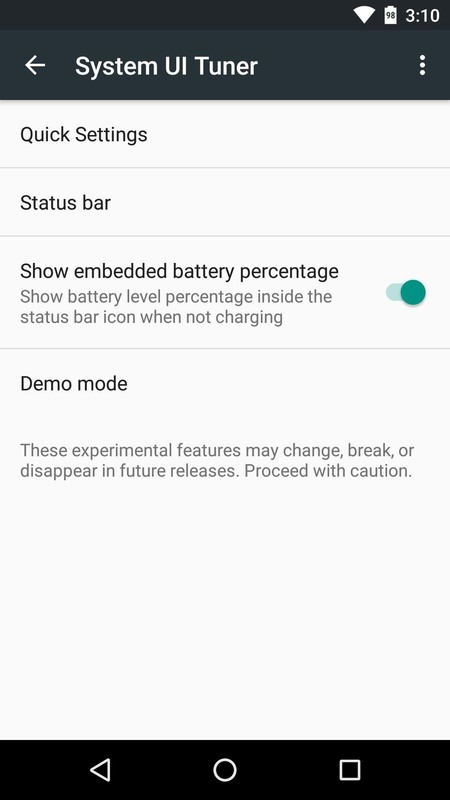 "Show embedded battery percentage" adds percent text to the inside of your battery icon, of course, but "Demo mode" doesn't do much aside from changing your clock to read 6:00. 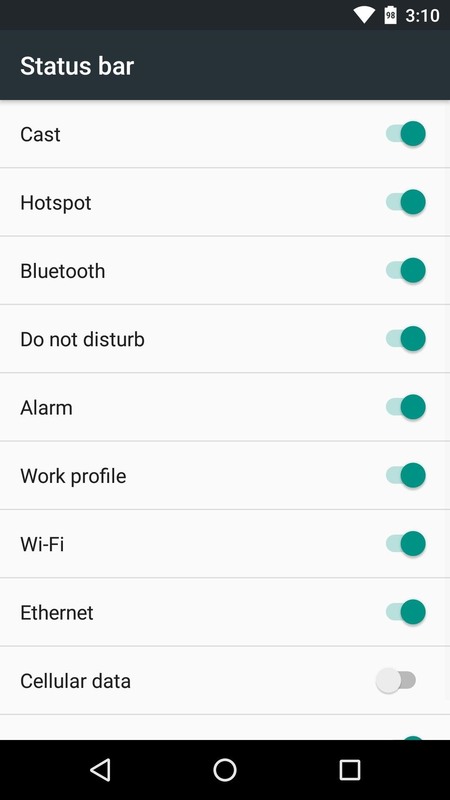 What are some of the options you tweaked using Android Marshmallow's new System UI Tuner menu? Let us know in the comment section below, or drop us a line on Android Hacks' Facebook or Twitter, or Gadget Hacks' Facebook, Google+, or Twitter. Allows you to customize many aspects that you couldn't in the past. 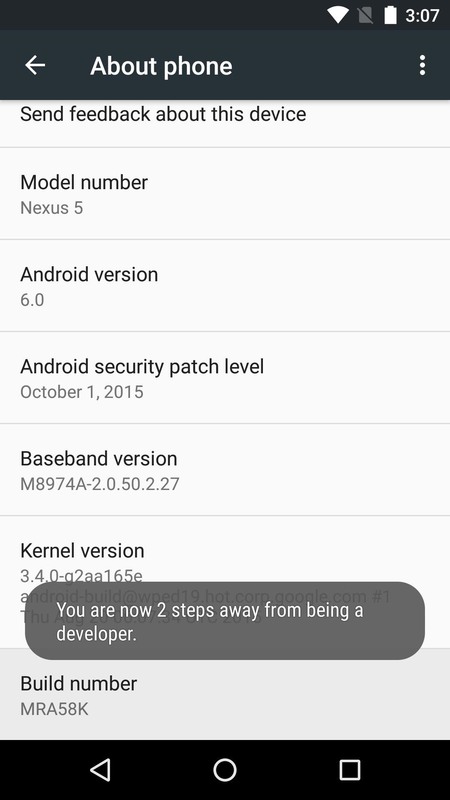 Why isnt this working for LG v10? Google previews something here saying something about it, but then ctrl+F finds nothing on LG. LG removed this feature in their skinned version of "Android." It's the same way for Samsung phones. I would really like it if manufacturers stopped taking features out of Android, but LG & Sammy in particular have layered so much garbage on top of the base software that it's hard to even call them Android phones at this point. I have a samsung s5. I enabled the developer options which the instruction said had to be opened ti get the IU open but try as hard as I Can Just Can't Get The UI to open. I guess this means it can't be opened on this samsung s5. But what I Don't UNDERSTAND I Asked For INSTRUCTION To OOEN The UI Menu On A SAMSYNG S5 AND That Where I Got My informatiom. I JUST CAN't get the UI menu to ooen. Interesting. Do you have any other mods going? Or maybe are you running a custom ROM? Aside from enabling Developer Options, then pressing and holding the Settings gear in the notification shade, there shouldn't be much more to it on a Nexus running 6.0+. Why isn't this working on Galaxy Note 4 Edge??? Because Samsung and a few other manufacturers have decided to disable this feature in Marshmallow. One of the biggest drawbacks of Samsung devices is the TouchWiz interface, which basically takes all of the good stuff away from Android and replaces it with Samsung's bloated vision of what a smartphone operating system should be. *y it isn't working onmy lenovo k4 note vibe ???? Cool it worked on my Protwelve tablet made by RCA. Thanks. Does this not work on GS7 Edge? 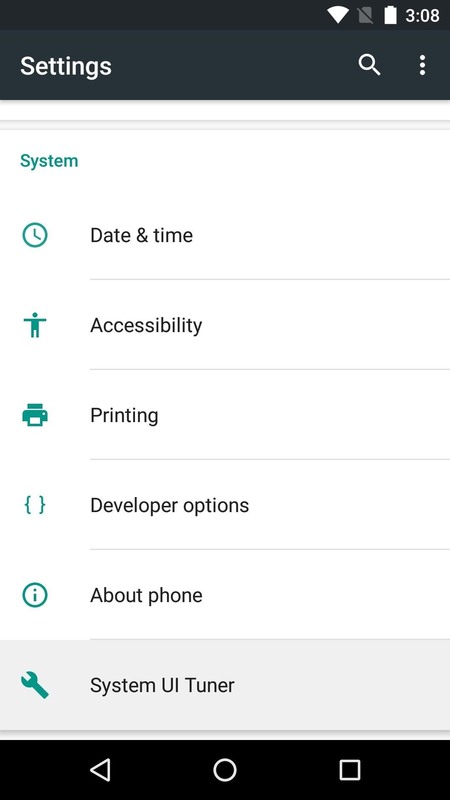 I have unlocked developer options already, and I am running Marshmallow 6.0.1, but swiping down the second time changes the gear icon to the edit button. What should I do? I followed all steps and everything did as you said it would except I can't get the UI tuner to open. When I pull down my menu twice and press and hold the gear button it does make it so I can tweak the quick settings panel but it won't open the UI tuner. The reason why I wanted to enable the system UI tuner is because it keeps shutting down on me. 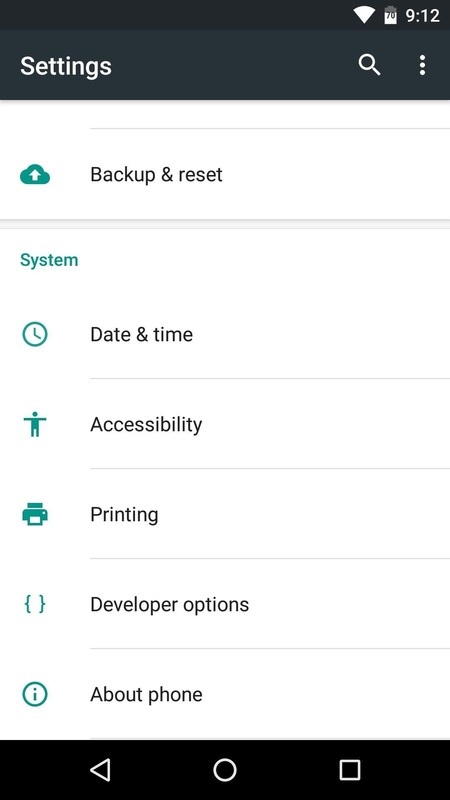 So I went and wiped my cashe through the menu where you shut down your phone hold the power button and the up key and the menu button at the same time to expose the menu and wiped it that way, that didn't work so I factory reset my Samsung a5 2017 and still the system ui still keeps shutting down and before I factory reset my phone it was at the point where I couldn't even turn on my phone because it just kept resetting itself. So I tried safe mode and still the system ui kept shutting down on me again, not as much but it still kept doing it. I thought if I could enable the system ui that I could shut it down altogether because I'm afraid that its going to start resetting itself again and I will have to factory reset again and I work on line and I back up my files but I'm still loosing stuff that is important for me and I can't afford to pay for another phone when I got this one not even 6 months ago and couldn't afford to get the phone That I really wanted because I'm just starting out in my business and that can get expensive. So if there's any ideas that you may have to shut down my system ui (except manually) please please can u help me to try and fix this problem? I would even pay you something, I would really appreciate it if you could get back to me. Read this after installing Good Lock. Dev option was already enabled. Followed the double swipe and hold directions. Of course no magic. Opened app Manger and scrolled down. Good Lock icon was now listed as System UI. I'm guessing that Good lock is just a rework of the original Sys UI tweak. Anyway. I have all the described abilities now. Samsung Galaxy S5 SM-903VL Straight talk version. Marshmallow. No root. HSPL4 is flashed however.